It’s finally here!! 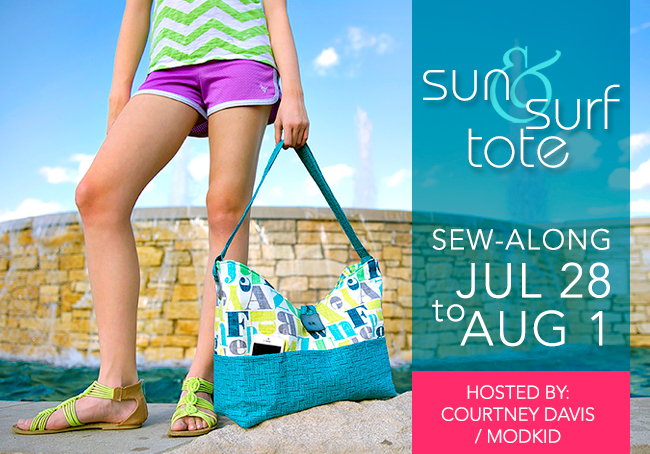 Day one of our Sun & Surf Tote sew along. Let’s get on our way to completing our tote before the weekend! Hopefully you’ve gathered all of your supplies, and have your fabric washed, dried, and ready to go! 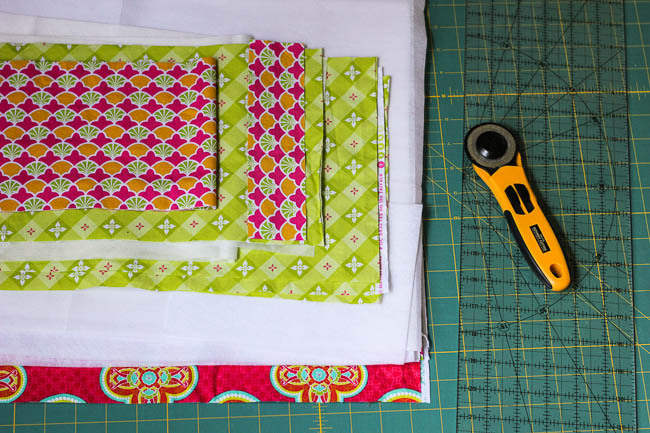 Today, we will tackle cutting our fabric pieces, stabilizing them, and cutting the V.
Now, take your lovely stack of rectangles to the ironing board to fuse your stabilizer. Following the manufacturer's instructions, fuse the heavy-weight stabilizer to the main fabric front and back pieces. 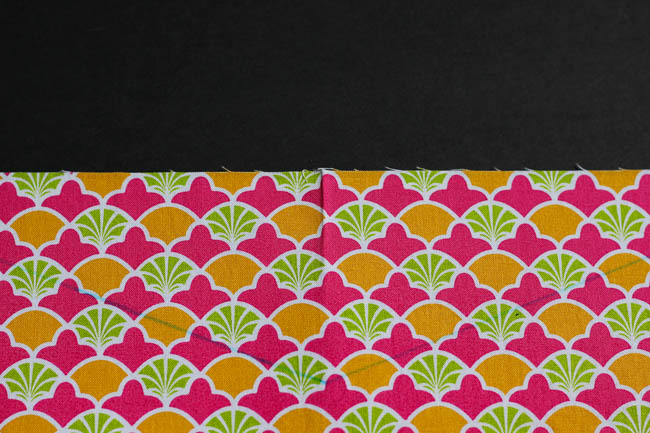 Fuse the light-weight interfacing to the lining front and back pieces, two of the outer pocket pieces, and one of the inner pocket pieces. As I stated in my supplies post, I am using fusible fleece for my heavy-weight stabilizer. Since I had plenty left, I used the fusible fleece for the shoulder strap padding. If you’d like to do the same, go ahead and fuse the padding to the middle of your shoulder strap. If you are using regular fleece, do not fear, I’ll show you where to insert it later. We’ve got one more cut before it’s time to sew. Let’s mark the V shape. 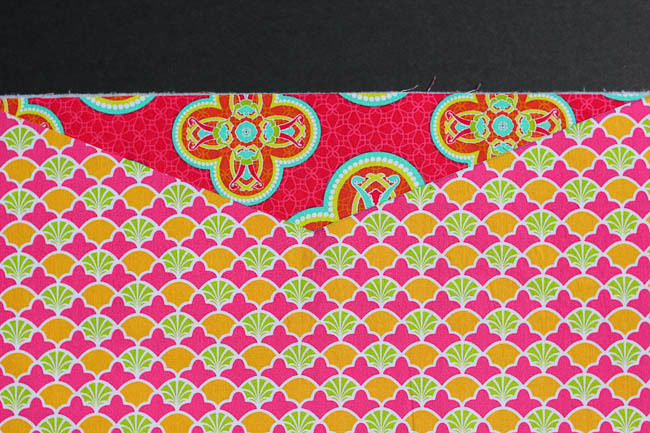 First, locate the center of one lining piece by folding the piece in half matching the short sides. Press a short crease. From that center point, I made my mark 3” down from the top edge. Mark the tops of the V 3” in from each corner along the top edge, and join the marks creating the V. Cut out the triangle. 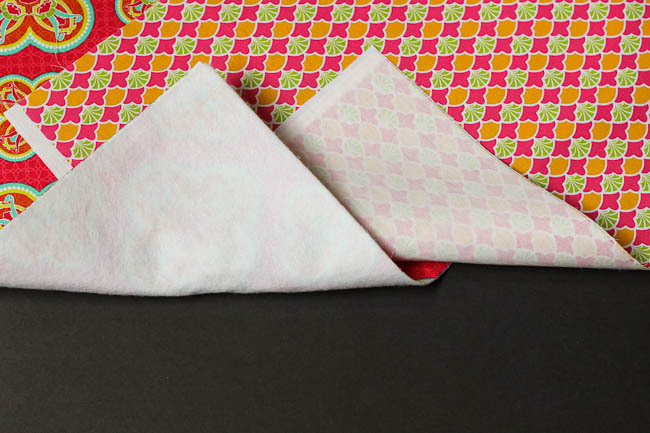 After marking and cutting the first lining piece, I layered it with a main fabric piece and used the triangle as a template to cut the main piece. Repeat until you have both main tote pieces and both lining tote pieces cut with the V shape. Done for today! Tomorrow we’ll get to sew. Be sure to share your progress with us in our Facebook Group and tag your photos with #sunandsurfsewalong on Facebook and Instagram.